You might just have some extra eggs around this week. 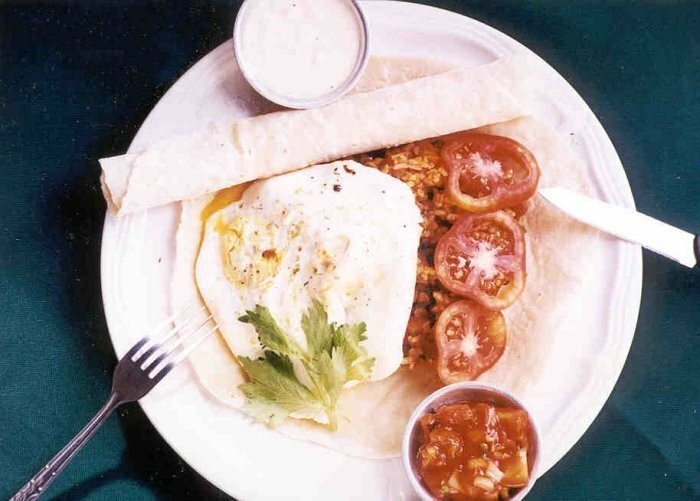 (Not sure why) Even if it's just a normal weekend, Wolfgang Puck offers up a tasty looking recipe for using some of those eggs you have on hand and giving them a bit of a mexican flair. One of the main secrets to the success of this recipe is to take a little extra care when cooking the eggs. Most cooks just crack them right over the frying pan, which can sometimes lead to broken yolks; and then they cook them completely on top of the stove, which often produces rubbery whites and yolks that are unappetizingly hard. Instead, I first crack each egg separately into a small bowl before slipping it into a heated pan in which I've melted butter with a little oil over medium heat. I season the oil-butter mixture with salt and pepper before the eggs go in, too, which actually transfers more of the seasonings' flavor to the eggs. Then, once the whites have begun to set, I finish cooking the eggs in the oven until the yolks are heated through but still fluid. The result is a much more delicately textured fried egg than anything you'll find in the standard coffee shop. I've recently become hooked on huevos rancheros. This little cafe makes a terrific version which I've tried to duplicate at home with middling success. They take a toasted tortilla and top it with Black Beans, the eggs, then a sauce topped off with guacamole and sour cream. Outstanding!